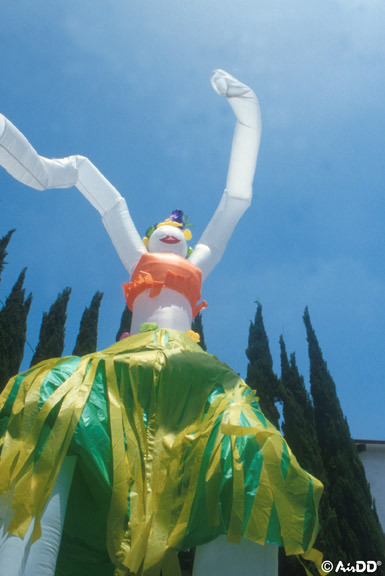 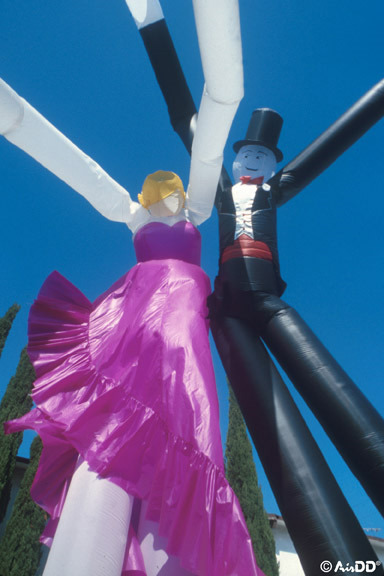 Create drama at your next event! 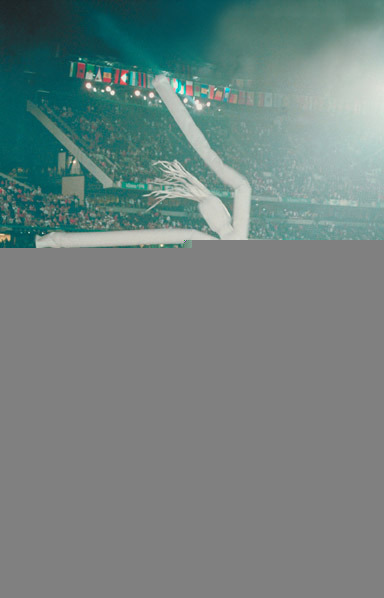 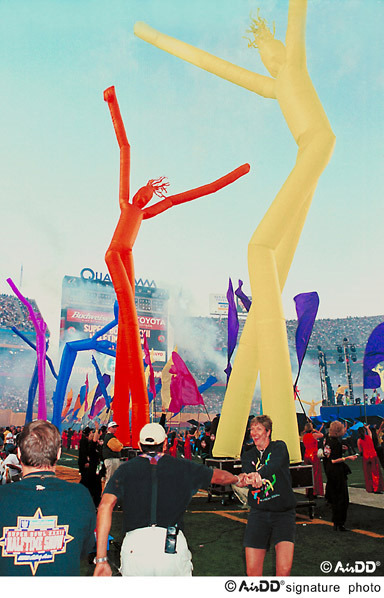 First introduced at the Super Bowl in 1996, these fascinating dancers have been thrilling crowds at sports events, concerts and public celebrations ever since. 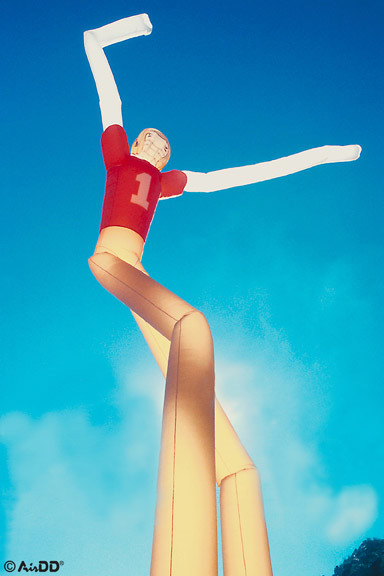 Fly Guys dance on two feet, giving them more animation and personality than single-tube tube dancers. 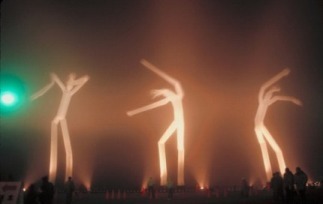 Constant motion keeps the crowd intrigued and entertained. 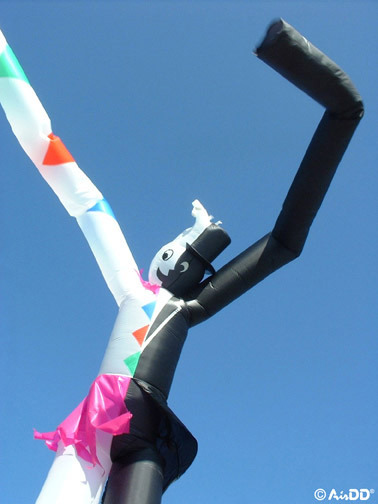 The high-performance fan rushes air up and through the dancer, keeping a consistent fill so the dancer can "stay alive." 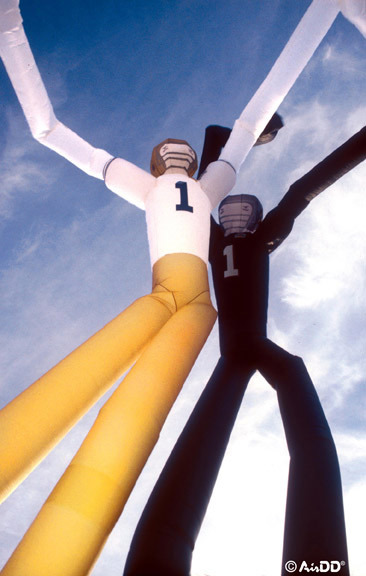 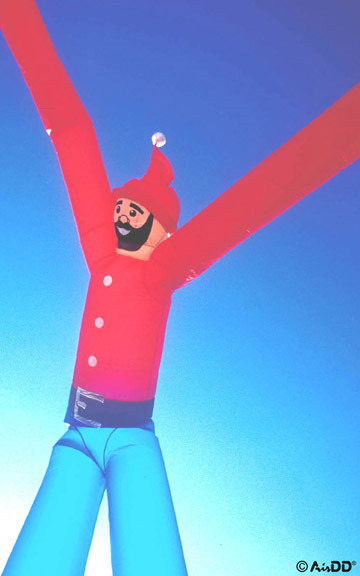 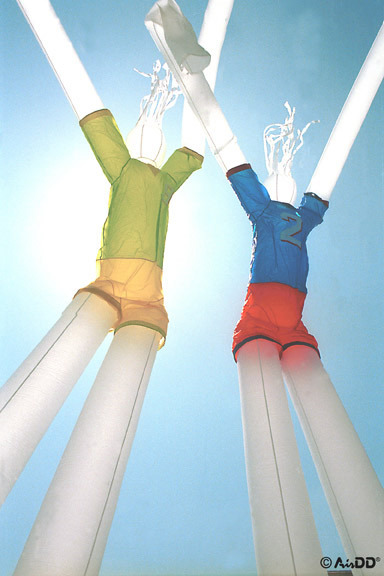 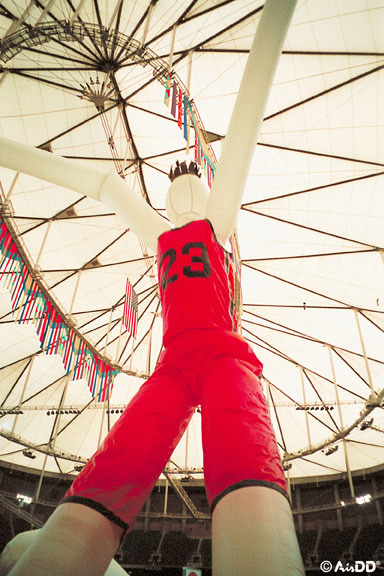 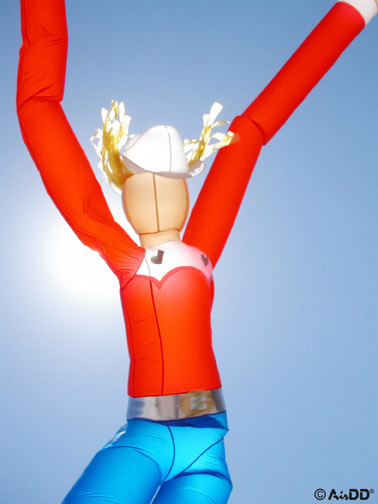 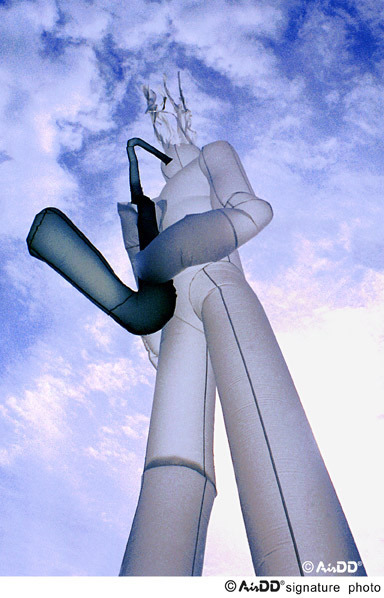 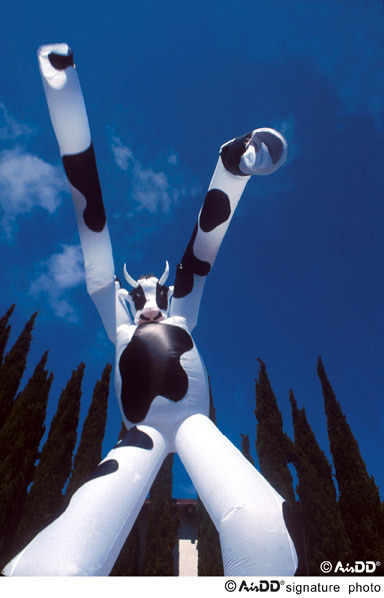 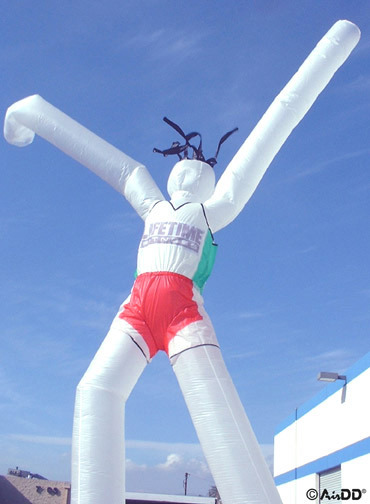 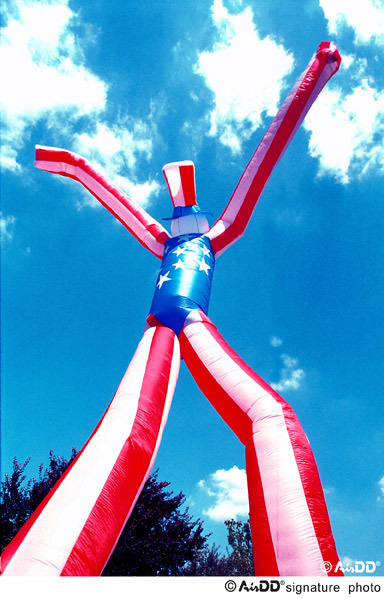 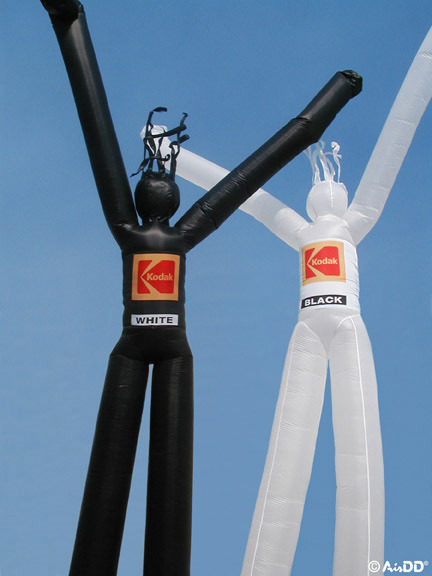 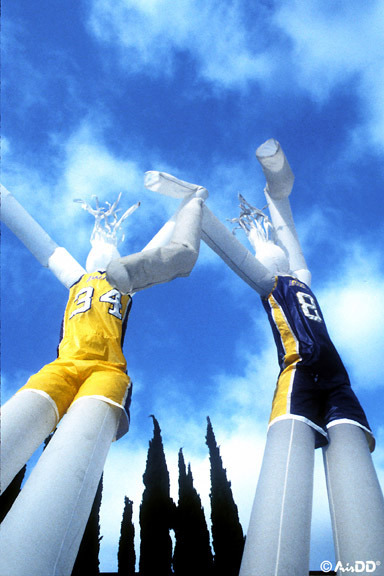 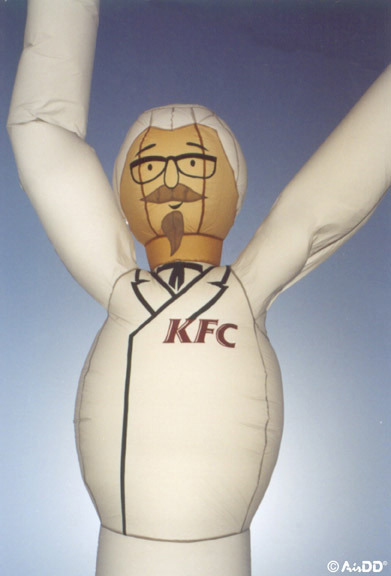 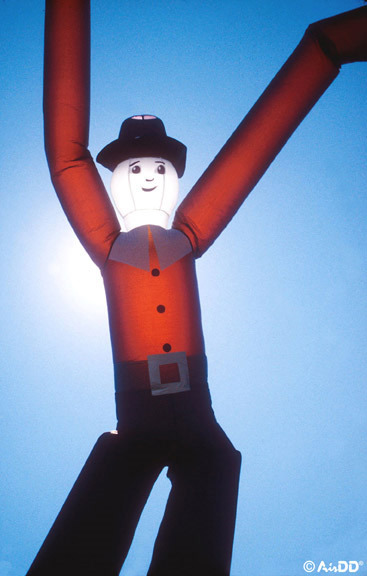 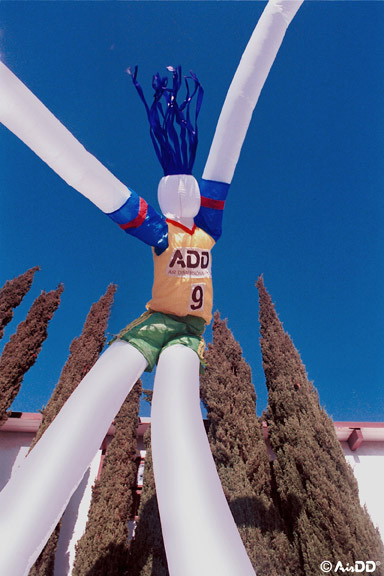 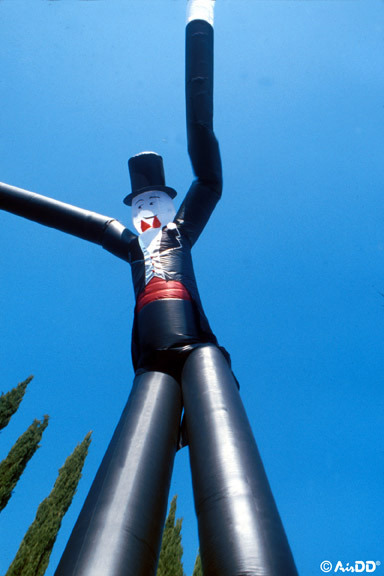 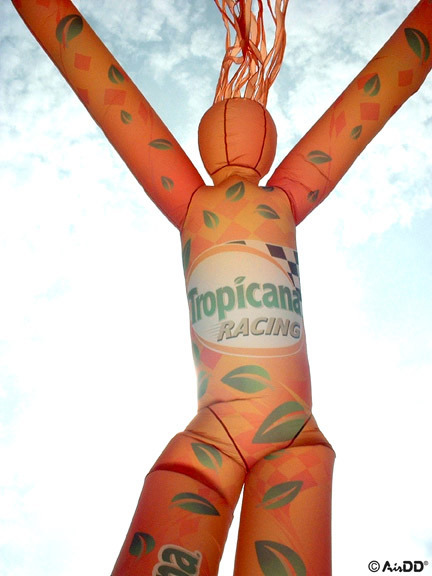 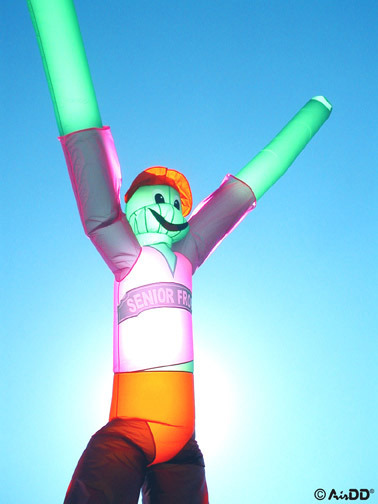 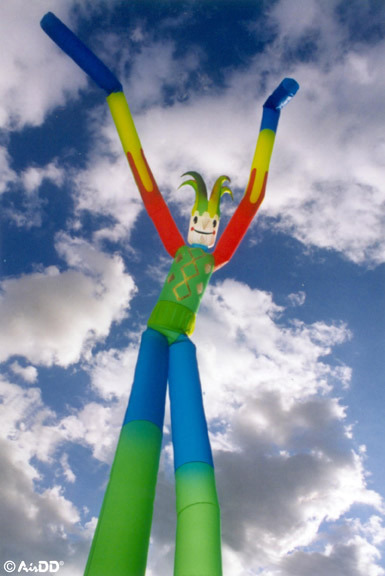 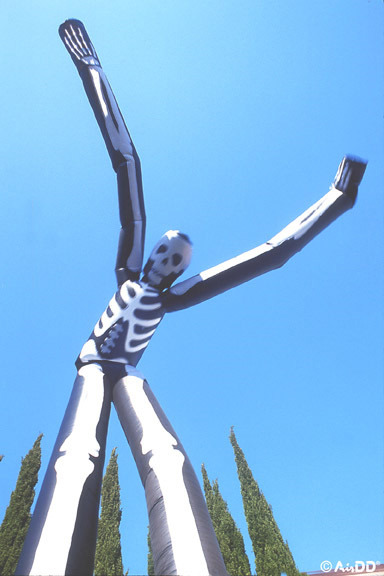 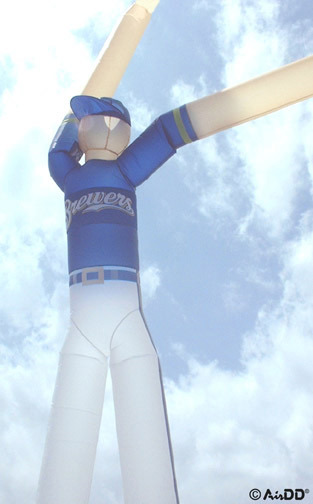 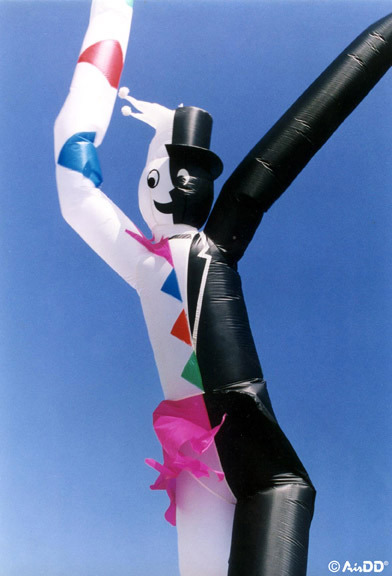 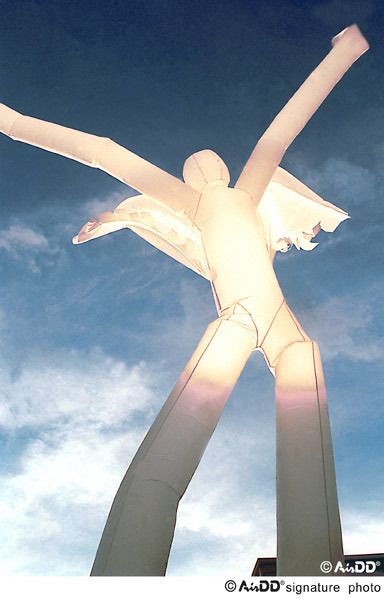 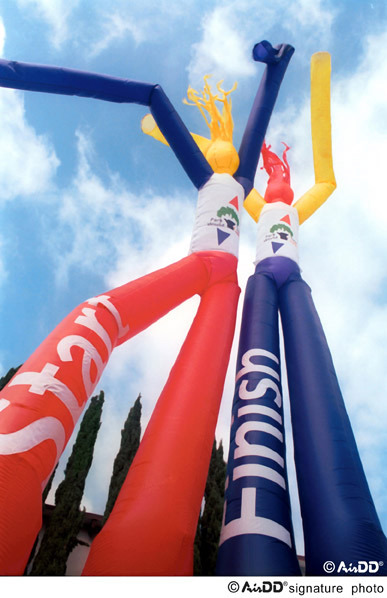 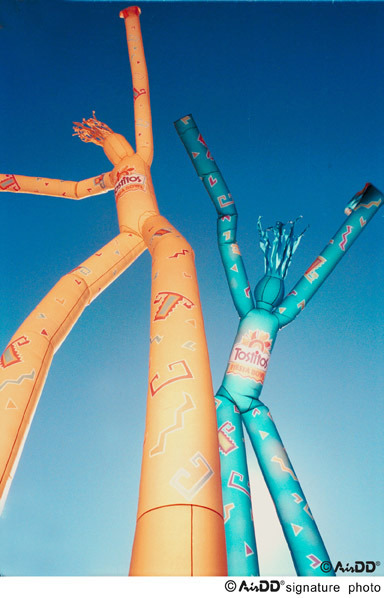 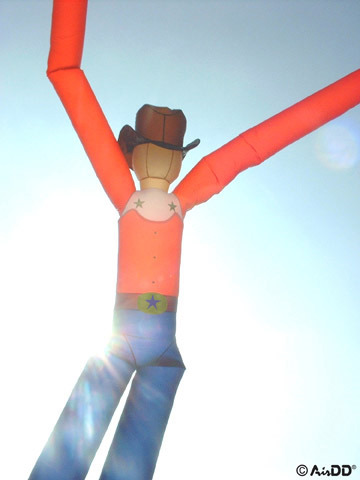 Single-color Fly Guys are in-stock and available for immediate shipment in 18' and 28' sizes, or let our designers create a custom Fly Guy up to 60' tall for your event. 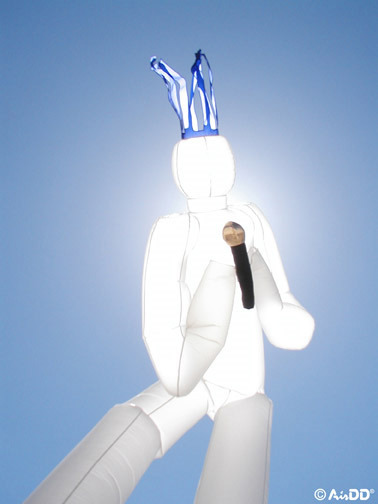 Complete system arrives with Fly Guy and High Performance Vortex Fans to keep it dancing. 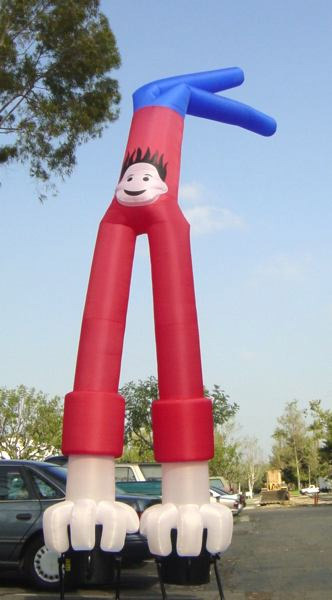 Sets up in minutes and will run continuously while powered. 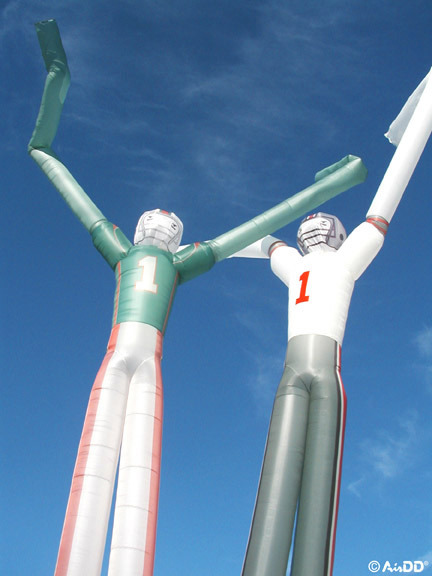 Pricing and ordering information for one-color Fly Guys shown below, please call or e-mail for a detailed quote on a customized character. 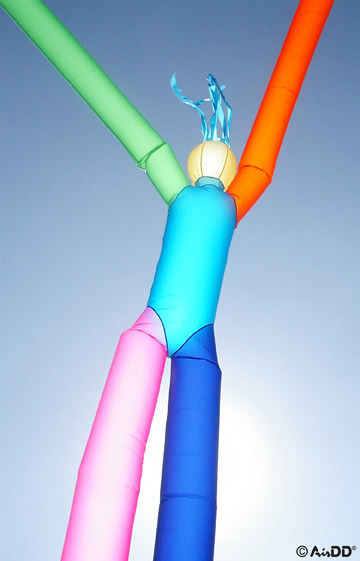 CALL TOLL-FREE 877-884-2402 FOR A CUSTOM QUOTE.